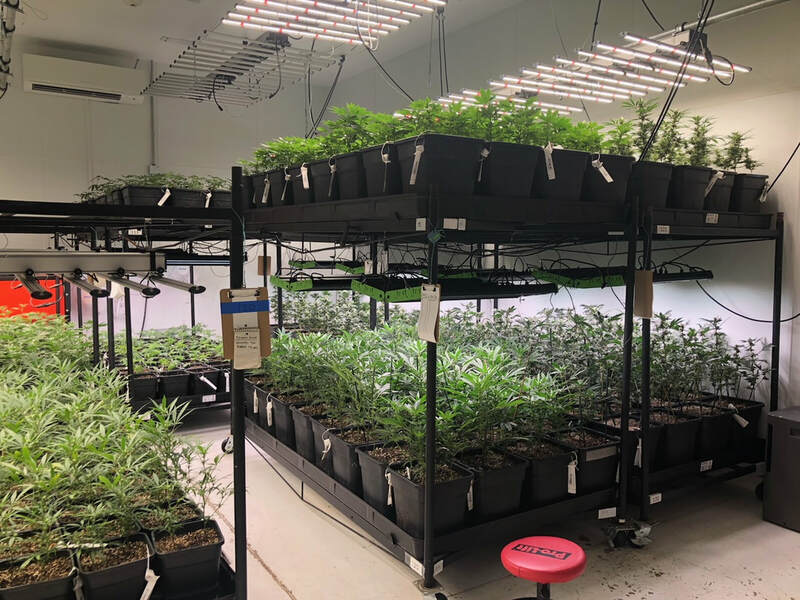 Building out a marijuana facility is pretty expensive and complicated, even when done in the simplest dependable way. It doesn't help that there are so many possible methods of cultivation. 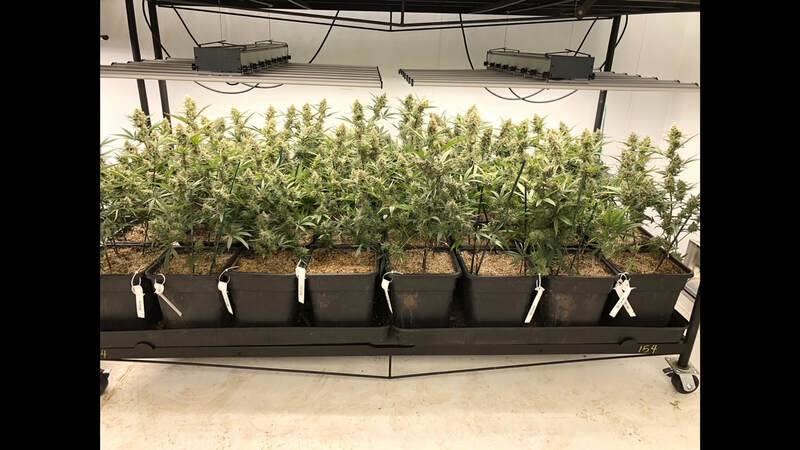 Ask 10 growers how to do it, and get 11 answers, as they say. 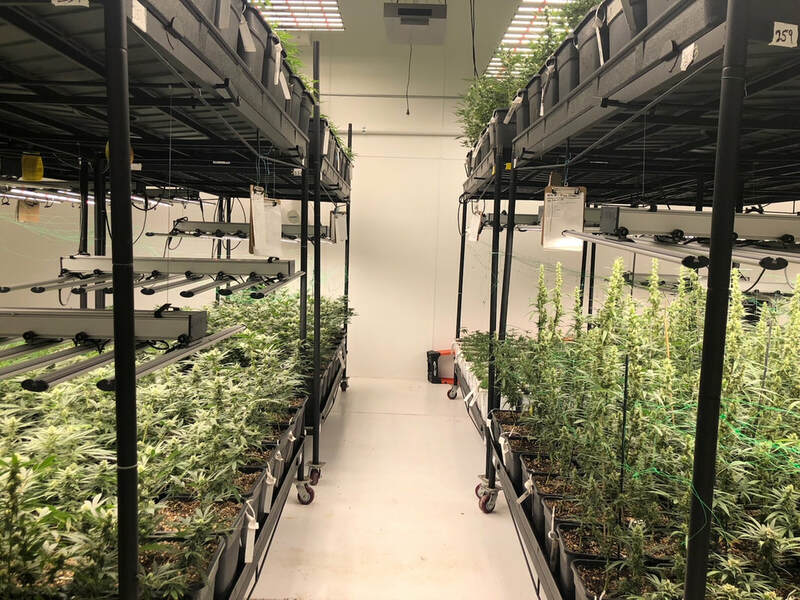 Because lead growers come and go, it's a good idea for your facility to have a flexible design, so that it can work for multiple cultivation methods and be as simple as possible to use. On top of that, it's a good idea to make the most efficient use of energy and space. 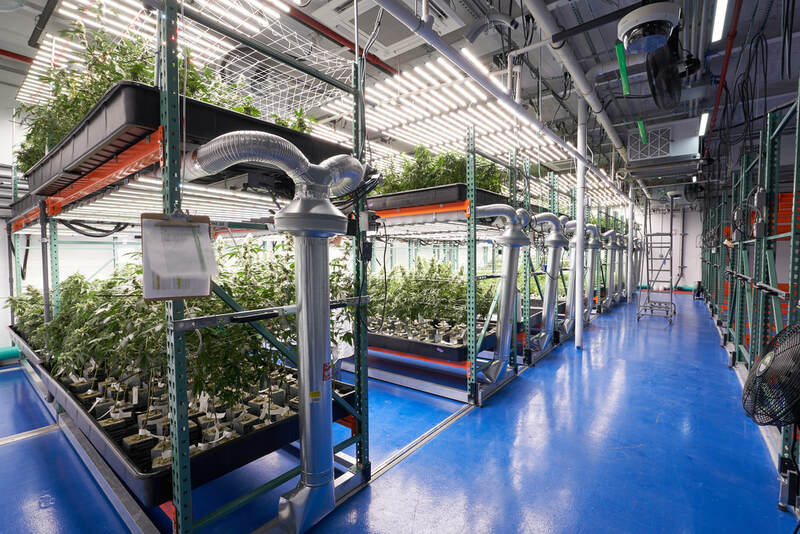 With these priorities in mind, I've settled on a two-tier vertical LED design concept for marijuana facilities that uses mobile racks, LED lights, and standard 4x8' grow trays. Within this concept, several variations exist, such as the exact brand of racks and lights, the number of plants and pots per square foot, the media type, fertilizer and watering method. It can work with either organic or mineral-based cultivation methods. Here are some pictures of how your site will look if you work with me on design and implementation. The first one is a flood and drain rockwool mineral fertilized system and the subsequent photos are an organic soil system.